The idea of a luxury resort in Lonavala is nothing paradigmatic. However, the trick lies in who owns it and how well it is doing. That is where an enterprise like ours, Phadnis Group comes into picture. Since our inception in 2003, we have grown as one of the prominent brands in hospitality industry in Pune. Redefining standards of luxury is what we live by and work for. Our customers swear by our expertise in the business. Luxury resorts, Spa and a Hotel Management and consultancy are what we have proven our credibility in. The way the service industry, especially the hospitality industry, including food, tourism and hotels is growing, prizes cannot be given for guessing why we have ventured into hospitality industry. All the same, just as there is a huge potential for growth in this industry, we are aware of the dare devilry we are plunging ourselves into. That is, owing to the economic fluctuations this industry is susceptible to. But that is what we have signed up for and we are proud to have tackled these challenges with elan! Sahil Sarovar Portico, a 3-star luxury resort is where it all started from for our hospitality arm. Sahil Sarovar Portico is now one of the most popular and sought after resort in Lonavala. The story is no different for our Radisson Blu resort and Spa, in the beautiful beachside terrain of Alibaug. Unexplored, virgin beaches are the main attraction for tourists visiting Alibaug and Radisson Blu. This resort and spa boasts of well designed rooms, sports facilities, business centres and board rooms and more. Aparanta, the all day dining restaurant offering numerous buffet spreads along with multi-cuisine a la carte suggestions from an array of platters is a show stealer. Spices enhancing nuances of quintessentially regional coastal cuisine are a huge hit with the food enthusiasts at Radisson Blu. Just as hotels, resorts and spas is our forte, we have added another feather in our cap. Phadnis Group after making its mark in the hospitality business, made its debut in hotel management and consultancy. Our team joined hands with RIMC International, a global leader in this business. RIMC Hospitality India Pvt. Ltd. is an independent hotel operating company which is involved in taking over new and existing hotels, resort properties and service apartments for management and operations in India as well as the subcontinent under different franchise brands. Pune has become a fast developing city since last decade. Be it education, real estate, infrastructure, IT companies or industries all have grown faster and has reached the global standards. Due to good quality education as well as highly paid jobs being available here students from all over the world and job seekers from all over India as well as the world have settled here. Hence the demand for residential and commercial spaces has increased in Pune. Pune infrastructure companies have put in their best efforts and are working hard to meet these demands and maintain quality standard. Phadnis Infrastructure Pune is one of the successful ventures by Phadnis Group in Pune. Phadnis Infrastructure Pune has completed several prestigious projects; they also have several ongoing and upcoming infrastructure projects in their hands all over the country. Considering the significant scope in the infrastructure, Phadnis Infrastructure Ltd. is prepared to undertake the giant national projects like constructions of highway, bridge, dam and theme park. At the same time, with an intention to utilize effectively the revolution that took place in the telecommunication sector, they established a new company namely Phadnis Telecom. Phadnis Telecom Ltd. provides system integration and network services to telecom operator companies and technology providers (OEM). 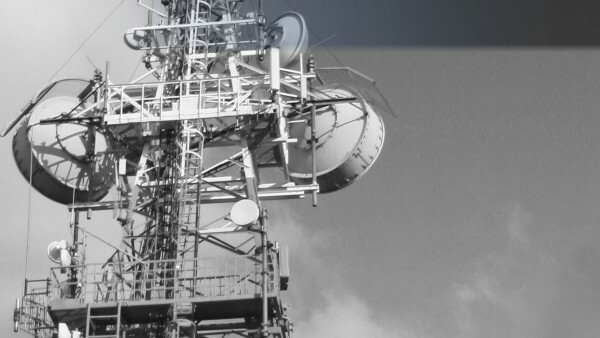 Through their services, the company addresses the network life cycle needs of telecom companies. Power is the key resource that plays an important role in the development of a country. Considering the huge scope for growth and increasing need of energy in India Phadnis Group has entered in sector of renewable as well as non-renewable power generation. The company, in its way forward, aims at developing projects comprising of roads, bridges, airports and ancillaries, water supply projects, waste management, power and energy infrastructure and residential and commercial structures. The group owns ISO 9001, ISO 14000 and OHSAS 18001 certificates for their excellence in the industry. Phadnis Infrastructure Pune gains further strength through its reputed and established partners. In strong collaborations with its partners, it holds the capabilities to deliver large and the most complex projects. Tying up with various partners Phadnis Group is achieving excellence in each endeavour. The group has been successfully exploring opportunities across the globe in infrastructure development. The Indian hospitality industry is one of the key industries, which has been responsible for growth of the services sector in India. Indian hospitality industry is sensitive to the needs and desires of people. Indian hospitality industry has changed positively and progressively thus attracting many foreign tourists from all over the world as a result the tourism industry has also flourished. The vibrancy of a city can be judged by the number of people eating out and this vibrancy has been observed massively in Maharashtra and especially in Pune and its nearby places. Hence, the hospitality industry has flourished tremendously in this State. Pune has huge growth potentials in the near future. According to a report presented by McKinsey Global Institute, in next two decades Pune will be sixth biggest city in India, after Mumbai, Delhi, Kolkata, Chennai, Bangalore. Many national and international food chains and 5 star hotels have been set up all over Maharashtra. Alibaug and Lonawala being the hot tourist destinations the number of 5 star hotels in Alibaug and hotels in Lonawala has increased enormously in past few years. Phadnis Infrastructure has redefined the standards of luxury. Being successful in the real estate sector they have ventured into hospitality segment by undertaking Sahil Resorts and Spa. The 5-star Spa Resort, Radisson at Alibaug and Sahil Sarovar Portico, a 3-star hotel in Lonawala has earned name and fame for the Phadnis Group. Radisson Resort and Spa of Alibaug is respected as one of the biggest Spa resorts in the Asia and has won international awards for best spas in Asian region Sahil Sarovar Portico created an inscription and Radisson Blu became a landmark. Sahil Sarovar Portico, a 3-star luxury resort located in the beautiful hill station of Lonawala boasts of lush verdant greenery and a cool, pleasant weather. The Phadnis Group has brought another new trend for the first time in India in the hospitality segment – Third Party Hotel Management Consultancy. A separate company – RIMC Sahil Hospitality Private Limited has been formed by bringing German multinational RIMC group in India, which provides hotel management and consultancy services to more than hundreds of famous 5 star hotels in Europe and western countries. RIMC Sahil Hospitality India Private Limited provides tailor-made hotel solutions required by hotels at various stages from concept stages to operations. It also offers turn around services for existing properties. RIMC Sahil is now spreading its winds in Sri Lanka, Mauritius, and Seychelles along with India. Sahil Resorts & Spa India Ltd. has emerged as the first Indian hospitality brand to get ISO 9001, ISO 14001 and OHSAS 18001 certification.